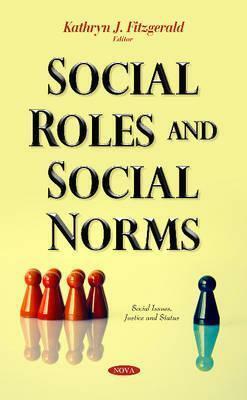 The authors of this book provide research on social roles and social norms. Chapter one begins with conditionality and normative models in the field of social thinking. Chapter two discusses the issue of social roles and cultural norms through a perspective of sociology of literature. Chapter three focuses on social exclusion among children and adolescents. Chapter four examines filial piety as a response to the societal norms. The final chapter presents qualitative studies in order to discuss gender roles in the household food provisioning and reviews how participants perceived those roles.